Our legendary dog parties are getting out of control!!! This weekend come and join us! Tickets Available at Anaheim Feed, OC Taco Joint or AT THE DOOR!!! $20.00 donation includes an after filled with Comedy, Drinks and Desserts, Raffles and Chance drawings! Dog park with pools and other summer activities! Must have one ticket per person per entry! All proceeds benefit Pet Oxygen Masks for Fire Fighters!!! This year we cater to the humans! Those of you that make our dog lives possible! 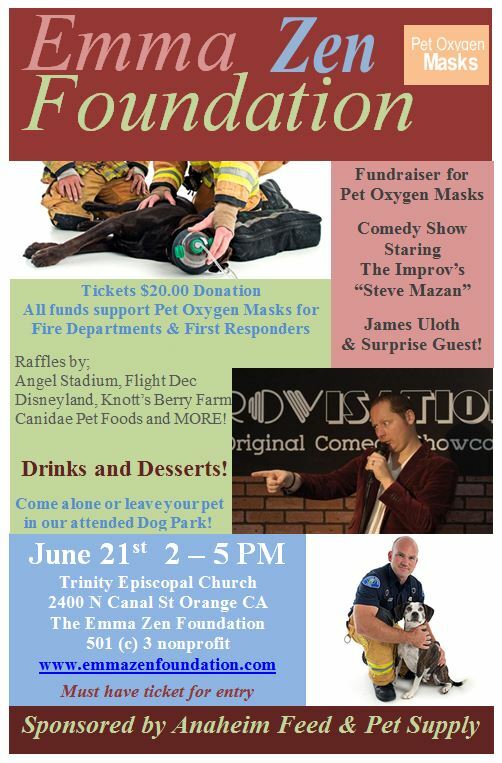 As a thank you for all you do for us including providing us with emergency medical equipment like Pet Oxygen Masks, we are throwing the gala called Raise the Woof!!! many of our Southern California's favorite attractions! Come alone or Bring your pet! We have an enclosed supervised dog park available!!! Complete with shade, pools and a camera man or two! For the past 5 years now we have turned my birthday party into a fundraiser as the foundation which holds my name is still concerned with your pets safety! Come and Join us!!! You don't want to miss this!!!!! Click on the flyer to print! MUST HAVE TICKET FOR ENTRY!! !